Indian Foreign Secretary Subrahmanyam Jaishankar is arriving in Kathmandu on a two-day official visit on Thursday. According to Tara Prasad Pokharel, Spokesperson at the Ministry of Foreign Affairs, Jaishankar is scheduled to hold bilateral meeting with his counterpart Shanker Das Bairagi. He will also call on President Dr Rambaran Yadav, Prime Minister Sushil Koirala and Foreign Minister Mahendra Bahadur Pandey, Pokharel told Nepal Foreign Affairs. “The two sides will discuss and review the progress on achievements between India and Nepal made in the past one year after the formation of Narendra Modi-led government in India,” Pokharel said. According to officials at the Indian embassy in Kathmandu, the foreign secretary will also meet top leaders of ruling and opposition parties. “During his meetings with leaders he will try to get first-hand knowledge on Nepal’s constitution-drafting process,” the officials said. 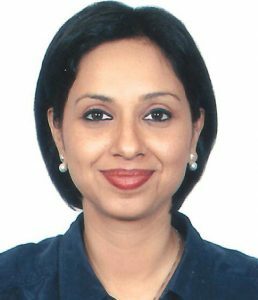 He will be accompanied by Joint Secretary (North) at the MEA, Abhaya Thakur during his visit. The Indian Foreign Secretary has already visited four SAARC member states as part of his first phase SAARC Yatra in accordance with the Indian Prime Minister’s directives. He had reached Bhutan, Bangladesh, Pakistan and Afghanistan on March 1, 2, 3 and 4 respectively. This would be the first visit of the Indian Foreign Secretary after he assumed office on Jan 29. Dr. S. Jaishankar assumed his responsibilities as Foreign Secretary of India on 29 January 2015. Dr. Jaishankar has more than three decades of diplomatic experience. Joining the Indian Foreign Service in 1977, Dr. Jaishankar has represented India’s interests and fostered friendly working relationships in countries around the world. Dr. Jaishankar’s first postings abroad were as Third and Second Secretary (Political) at the Embassy of India in Moscow from 1979 to 1981. From 1981 to 1985, he served as Under Secretary (Americas) and Policy Planning in the Ministry of External Affairs. He then spent three years from 1985 to 1988 as First Secretary handling political affairs at the Indian Embassy in Washington, DC, followed by two years as First Secretary and Political Advisor to the Indian Peace Keeping Force (IPKF) in Sri Lanka. In 1990, Dr. Jaishankar became Commercial Counsellor in Budapest. After three years in that position, he returned to India where he served first as Director of East Europe Division of the Ministry of External Affairs, and then as Press Secretary for the President of India. Following this service in India, Dr. Jaishankar went abroad again – to Tokyo in 1996 as Deputy Chief of Mission. In the year 2000, he was appointed the Ambassador of India to Czech Republic and served in Prague till 2004. 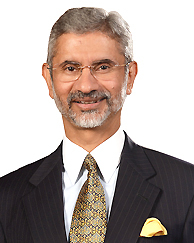 Upon completing his time as Ambassador in Prague, Dr. Jaishankar returned once again to India, where he led the Americas Division in the Ministry of External Affairs. After three years heading the division, he again left India in 2007 to serve as High Commissioner to Singapore for two years. Dr. Jaishankar was the Ambassador of India to China from 2009 to 2013 and was the Ambassador of India to US before assuming responsibilities as Foreign Secretary.